Precious little brother and sister on the beach playing with sea shells in the sun! You probably have joyful memories of collecting these treasures too! 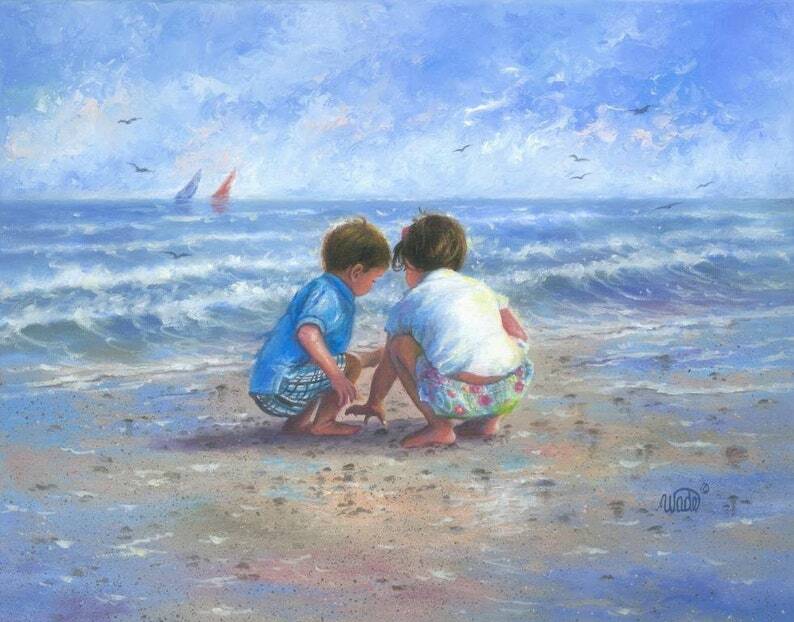 "Finding Sea Shells"~~boy and girl is a large fine art print of an original oil painting of mine. (The original has been sold). * Image size approx. 11" X 14+" printed on 12" X 18" heavyweight smooth cover paper. * Signed and titled on the back. * This print fits nicely in a 12" X 18" frame or 16" X 20" MAT/glass/frame combo found at stores like Michael's Craft Stores. * Ships in a protective cello sleeve rolled in a shipping tube for a safe delivery. ***If you buy any 2 large prints you can choose a 3rd 11X14 on 12X18 print for FREE. Don't purchase 3rd print or it won't be free... just let me know at check-out in message to seller which print you'd like! 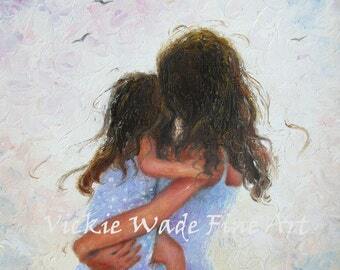 Copyright Vickie Wade all rights reserved. ♥ Watermark doesn't appear on print. ♥ Would you like to include a gift message? No problem! Please request it in the note to sell at checkout. These are so beautiful - I can’t wait to give them to family for Christmas. My oldest son is obsessed with ours, too. Thank you for everything! You were so friendly and amazing!